Marigolds' Loft: The Blog Workshop Countdown! 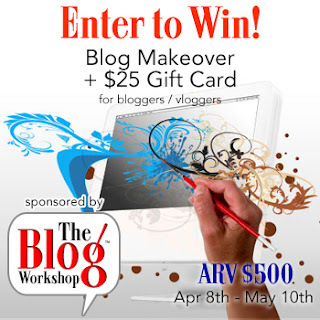 Talking of Giveaways - they have a Giveaway running right now to win yourself a Blog Makeover and a $25 Gift Card. This Giveaway ends on the 10th May, so hurry over and grab your chances today!